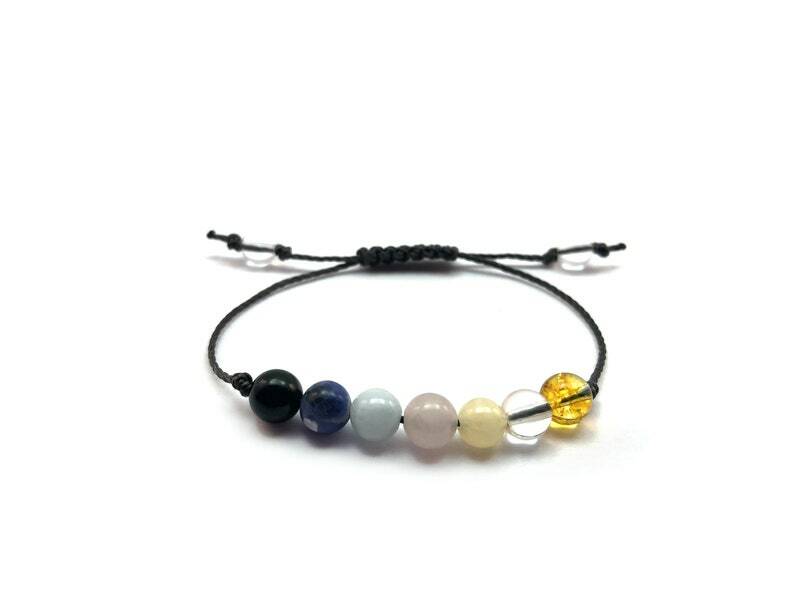 The stones in this bracelet have been carefully chosen to align with your intentions of school enjoyment, academic support, creativity, and help for students as well as promoting self-expression and protection. It is the perfect bracelet for back to school, or for kids to help them find joy for their school work. Please refer to the Gemstone Intentions for more information. - Yellow Calcite: self-confidence, hope, emotional cleanse, memory, learning. Solar Plexus Chakra Stone. Stone of choice for students. 1 mm Durable Nylon Cord is used. Yeli created this awesome bracelet for my son who has a very difficult time with school. It is a huge struggle getting him to do homework. He actually did his homework all by himself and I was blown away! Thank you Yeli!